As one of the most influential American musicians, Johnny Cash is well known for his deep, distinctive voice that has spanned many generations. 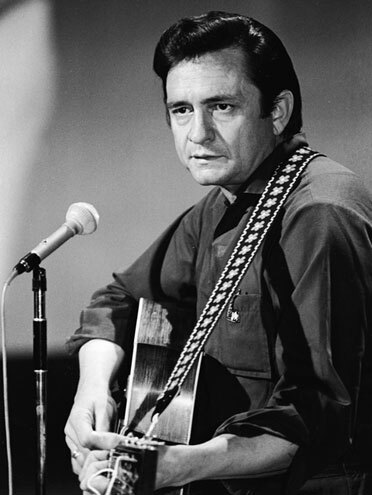 “The Man in Black” had many popular songs, but none more so than “I Walk the Line” which was featured in the story about his life. 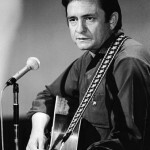 “Ring of Fire” is a close favorite to the numerous fans that still follow the life and music of Johnny Cash. With over 90 million albums sold in his 50-year career, one can easily say Johnny Cash is probably the most commanding figure in country music history. It is no surprise listening to Johnny Cash on vinyl is absolutely the best way to hear his moving singing. LP Record - Johnny Cash - "Now, There Was A Song"
LP Record - Johnny Cash - "Johnny Cash's Country Round-Up"
Johnny Cash; The Walls of Prison on LP Demo Record Sealed !!! THE JOHNNY CASH SONGBOOK AS SUNG BY JOHNNY CASH LP 1972 HARMONY STEREO NM! !